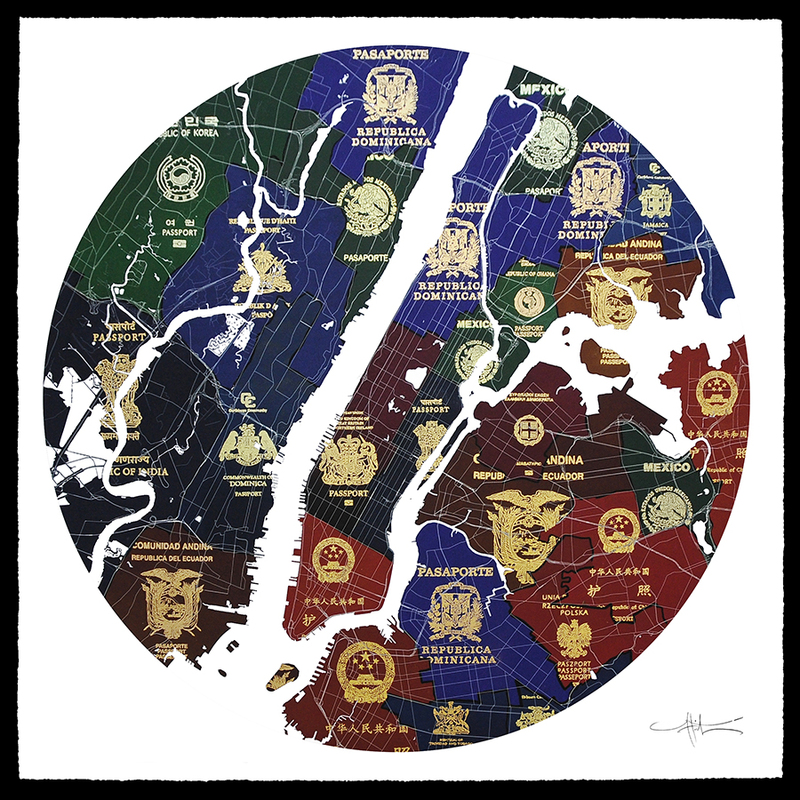 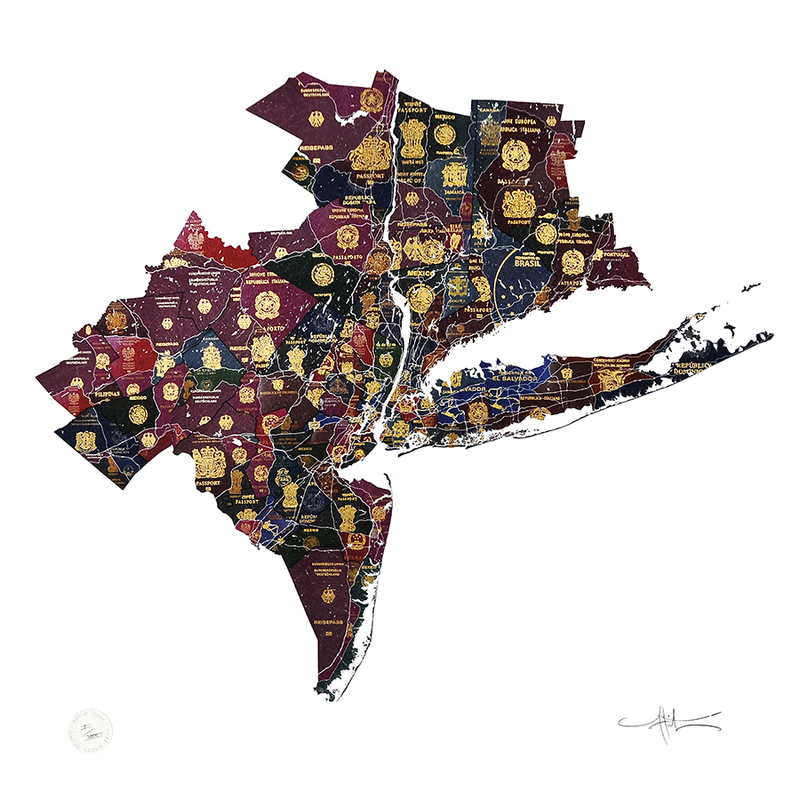 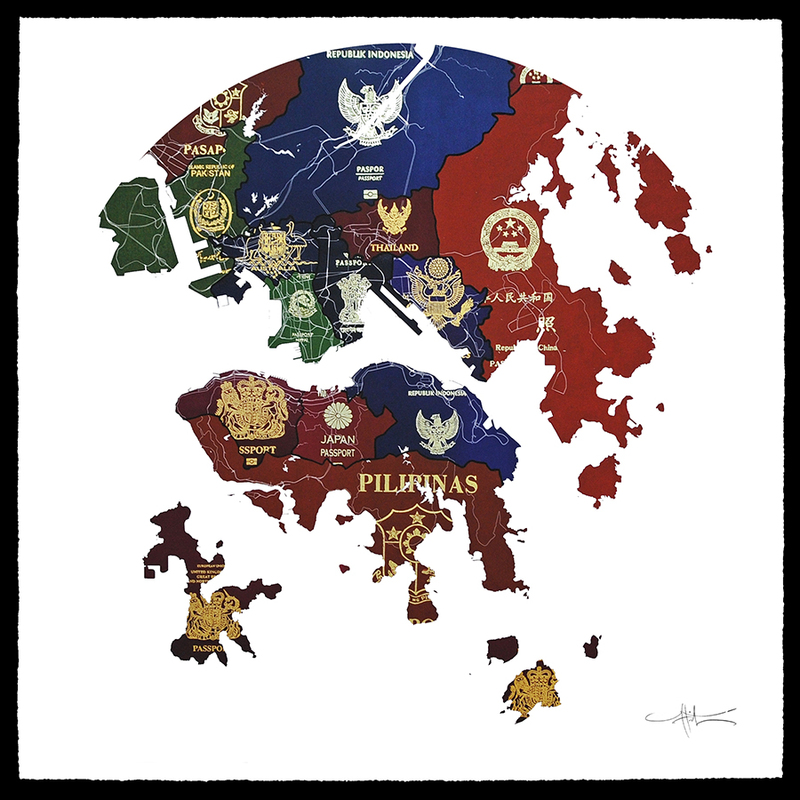 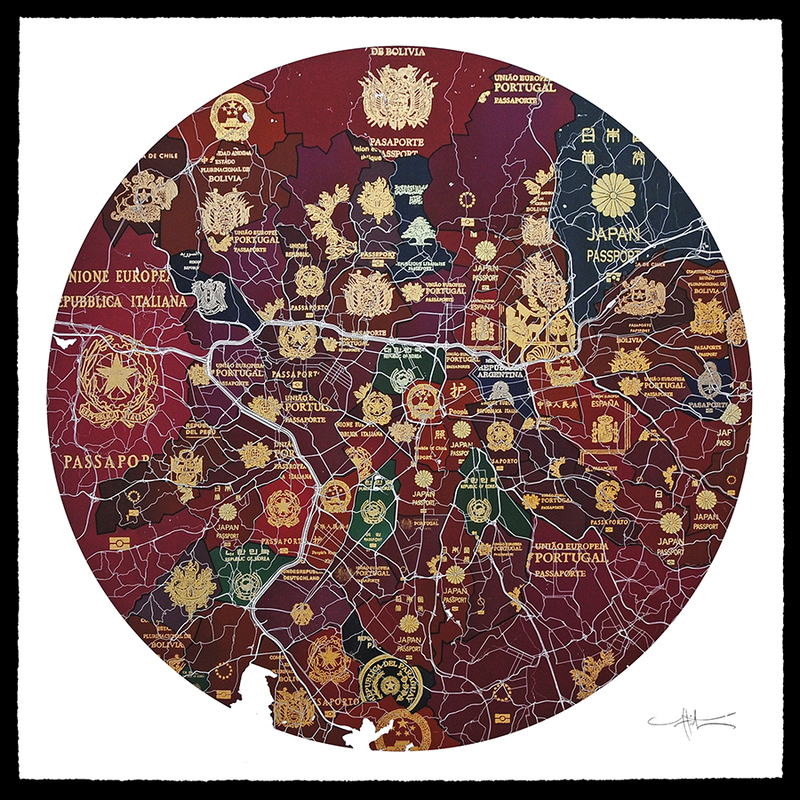 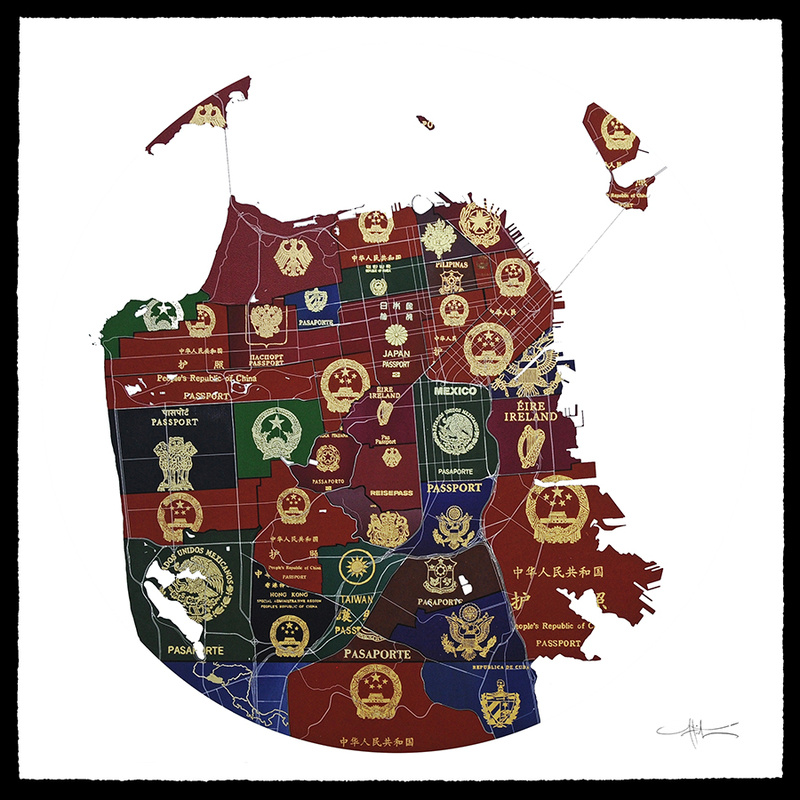 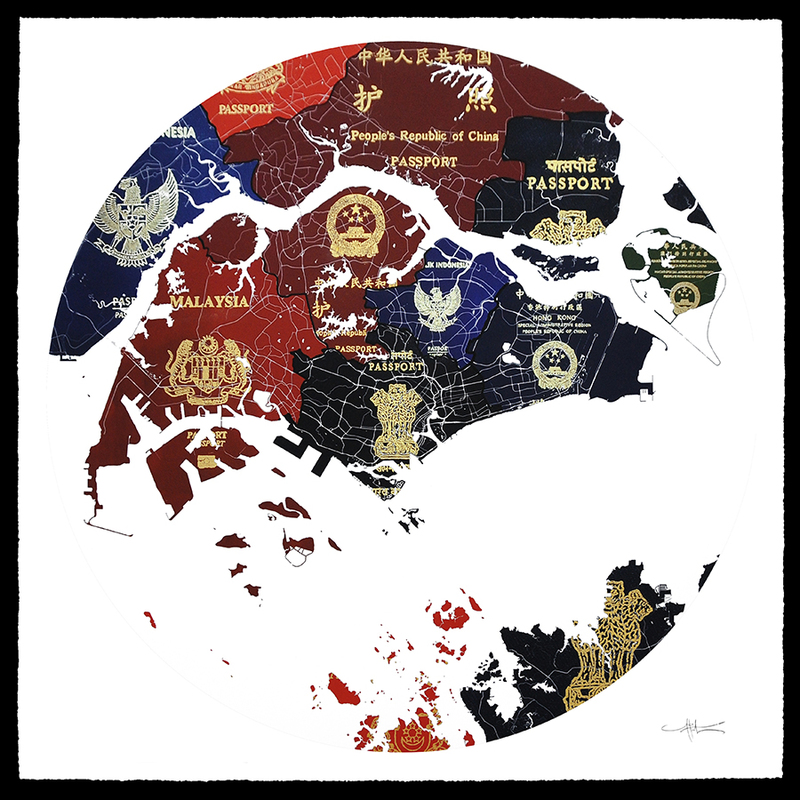 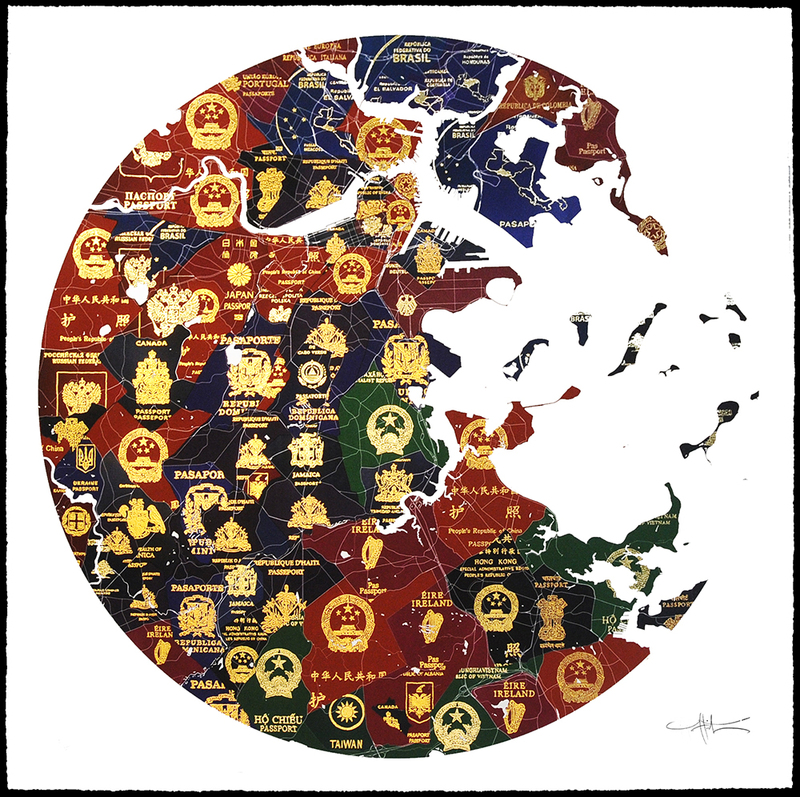 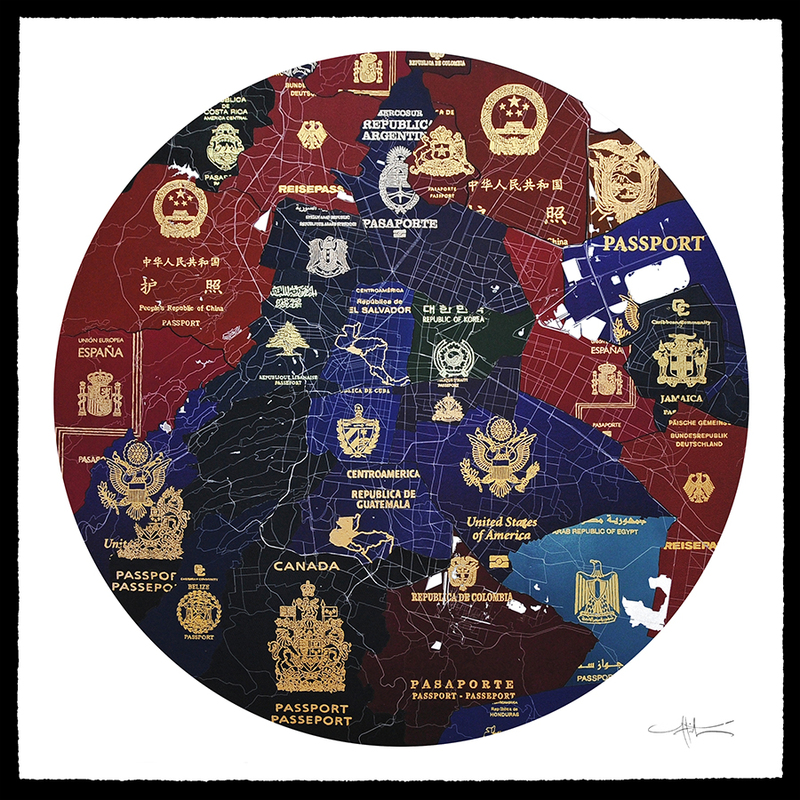 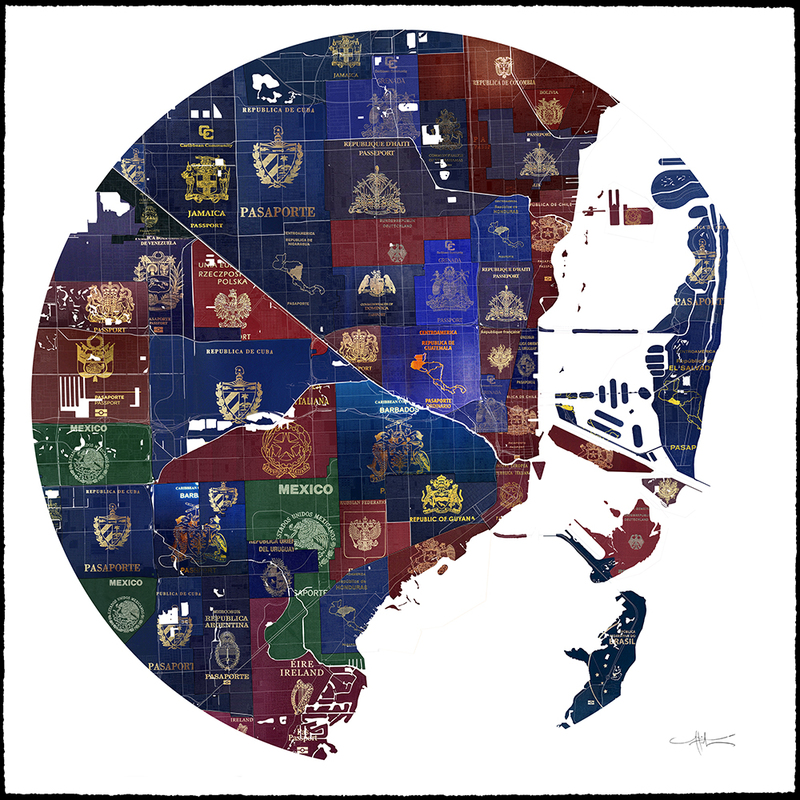 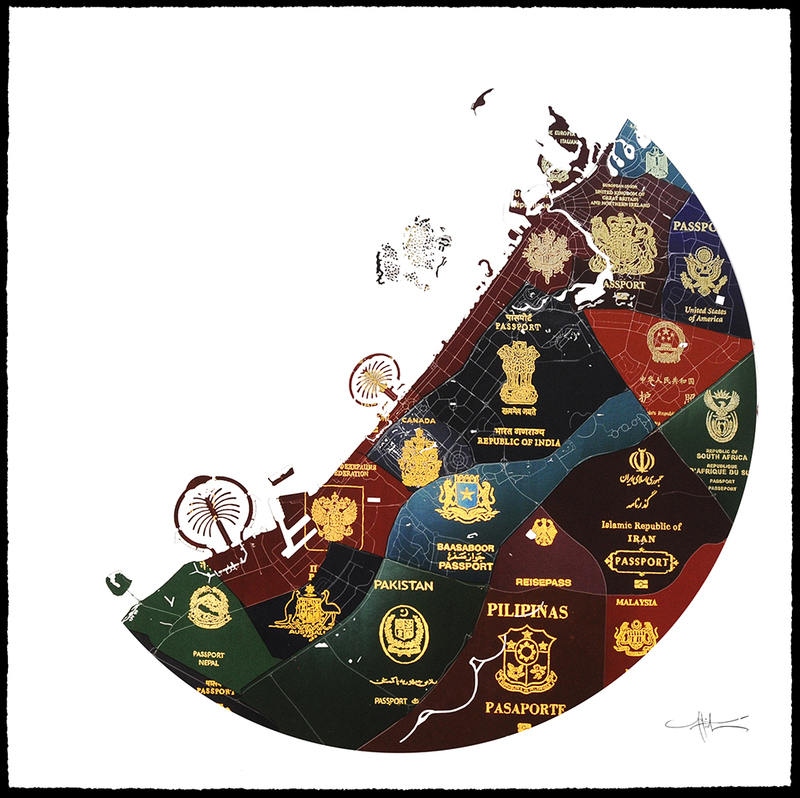 Yanko Tihov’s series of City Passport Maps offers a fascinating snapshot of the most cosmopolitan capitals and cities around the world, having been constructed using the passports of the various foreign passport holders residing in each city, as documented in the latest census. 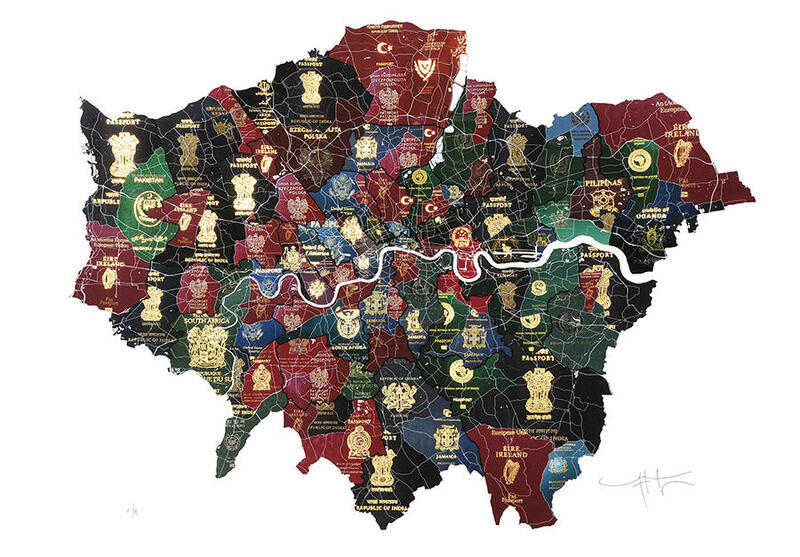 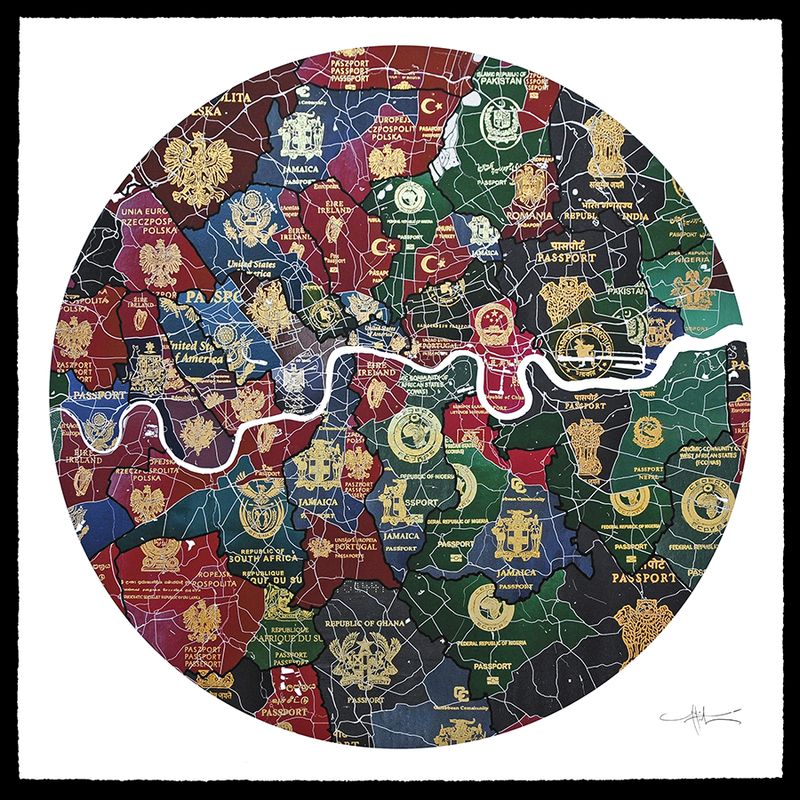 The colours and motifs of the passports, each of which is carefully matched and embedded within the boroughs, areas or neighbourhoods of each city, determine the design of the map. 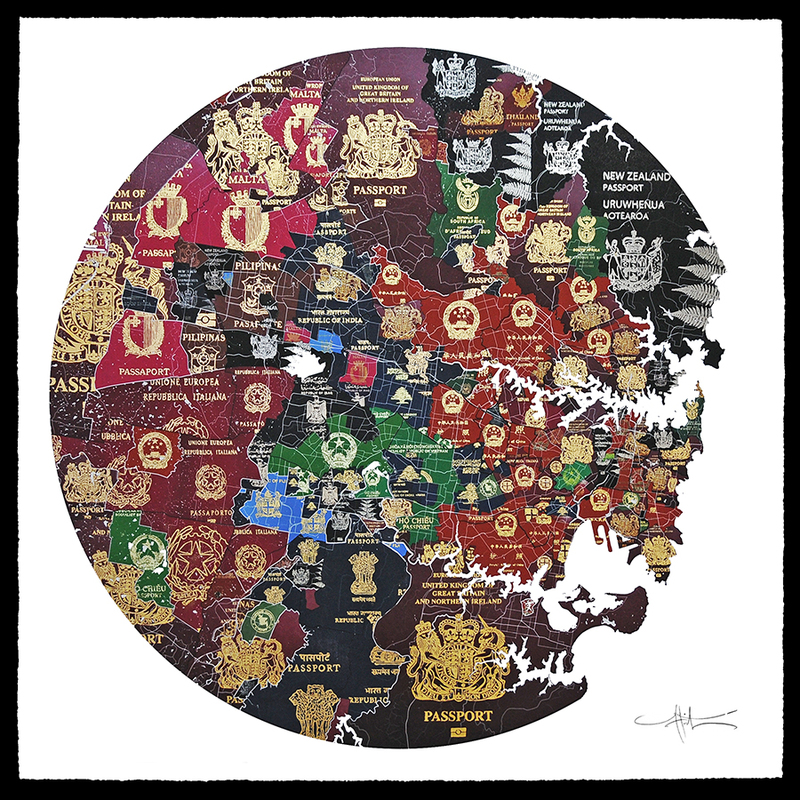 The passport cover’s texts, seals and coat of arms have been hand painted by the artist in 24-carat gold, adding a unique layer, which beautifully reflects and enlivens the surface.